Sketch books help you organize your sketches into various categories such as ‘Portraits’, ‘Animals’, ‘Still Life’ etc. And just like in real life, Sketch books have a cover, a size, an orientation and a paper type and color. 1. Name your sketch book. 2. Select your paper size. 3. Select your page orientation. 5. Select a paper type for your sketch book. 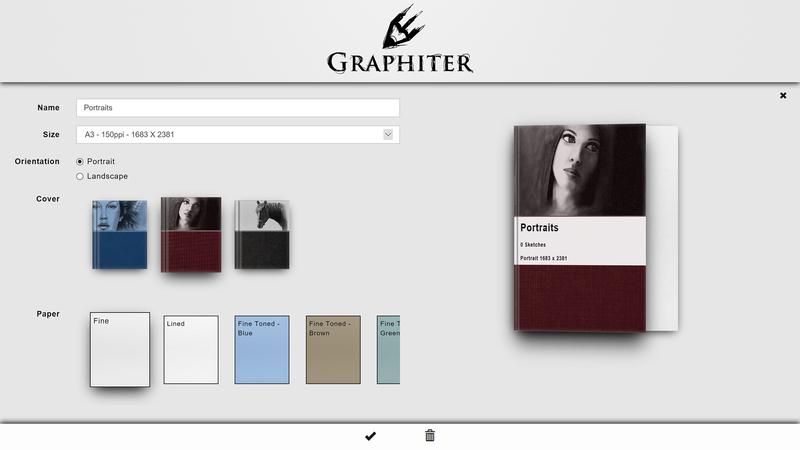 Using the buttons in the bottom bar, you can Accept and save your changes or Delete the current sketch book. To cancel your changes close the sketch book options screen using the Close button on the top right of the screen.